Though both championships were done and dusted before the Abu Dhabi Grand Prix, you’d be wrong to think the final round of the season was a superfluous afterthought in another year of triumph for Mercedes and Lewis Hamilton. Of course for the closely matched midfield there was prize money to be won, while for the drivers there was pride at stake. 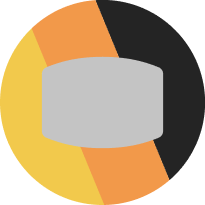 Max Verstappen jumped Valtteri Bottas for fourth in the drivers standings and Sauber’s Charles Leclerc ended his impressive rookie season ahead of Haas’s Romain Grosjean. However the most important outcome of all at Yas Marina wasn’t for position or prize money; it was Lewis Hamilton’s emphatic 11th victory of the season in what must be read as a warning sign for any driver plotting to overthrow the reigning world champion in 2019. It was another expertly executed grand prix for the Briton and his Mercedes pit wall, converting pole to victory with minimum difficulty. 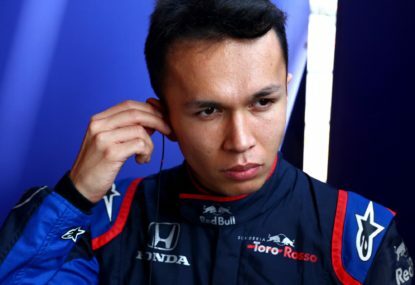 He grew his points total for the year to 408, a new F1 record, and stretched his advantage over Vettel to 88, the largest margin of the turbo-hybrid era. 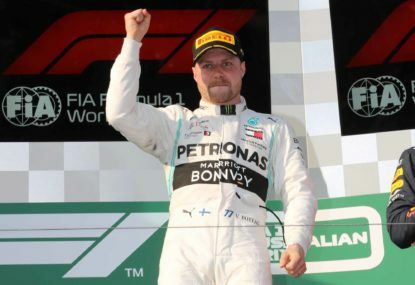 Another dominant weekend for the seemingly unstoppable Briton might appear unremarkable, but it’s noteworthy in the context of Hamilton’s historical approach to dead-rubber rounds. Of Hamilton’s five titles, his triumphs in 2015, 2017 and 2018 have been decided with races to spare. In 2015 and 2017, having dispatched Nico Rosberg and Vettel respectively with relative ease, Hamilton saw fit to let his foot off the throttle, failing to win another race in either season with the title in hand. In 2015–16 the effect of his championship hangover was catastrophic. Rosberg used his three consolation victories at the end of 2015 as a springboard to claim four successive wins at the beginning of 2016, which formed the bedrock of his successful championship campaign. A similar effect, albeit less pronounced, took hold of Hamilton in 2017–18. After dropping the final two races of last season, he took until May’s Spanish Grand Prix — although one could argue he only really hit his straps in France in June — to start firing consistently, which kept Vettel in the championship fight despite the growing list of errors that should otherwise have cost the German more dearly. 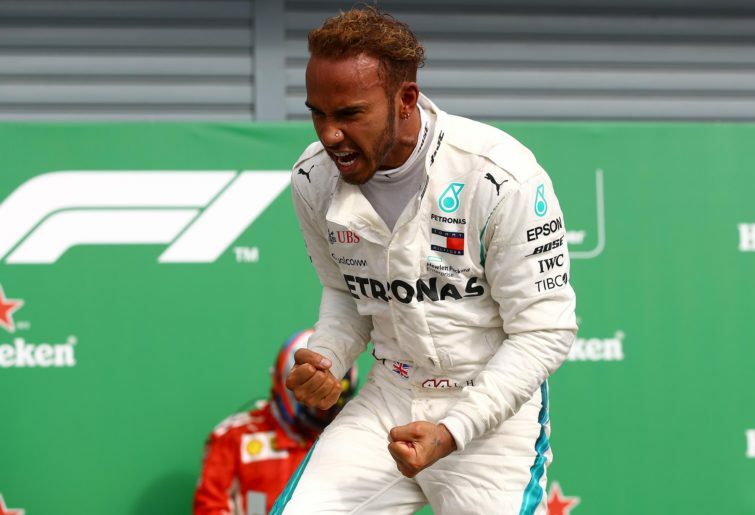 But at the end of 2018 Hamilton has allowed no such complacency to grip post-championship, signing off his best season to date with two wins in a marked change of approach. Indeed Mercedes boss Toto Wolff believes Hamilton has lifted his game since winning the championship, and he paid tribute to the Briton’s dedication to winning the constructors title after claiming the individual honour. 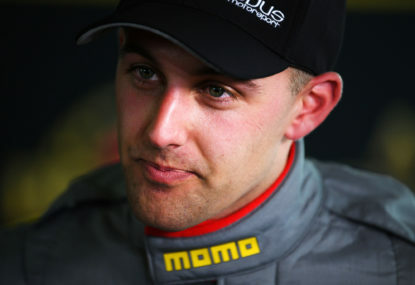 “He’s actually driven stronger after winning the drivers title,” he said. “He said it felt incomplete [to win the drivers title] and that we needed to seal the teams title. When you look at his face, there was almost more relief and happiness about sealing the constructors title than the first one. 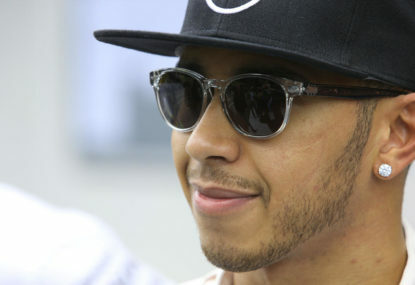 Notable too is that Hamilton has struck the best balance yet between his F1 and non-racing commitments. He credits his extracurricular activities as key to his success — “Tapping into a different part of the mind … I think it’s keeping the brain stimulated. I try to do the right things in order to be my best,” he said after winning the title in Mexico. His willingness to do as he feels was again on display in Abu Dhabi, where he broke with his usual pre-race preparations to film Instagram videos with Will Smith and otherwise generally enjoy himself before blitzing the field come race time. It’s an impressively energetic mindset Hamilton has managed to engage in what has by no means been an easy season, and it compares favourably with those at the receiving end of his relentlessness this season. 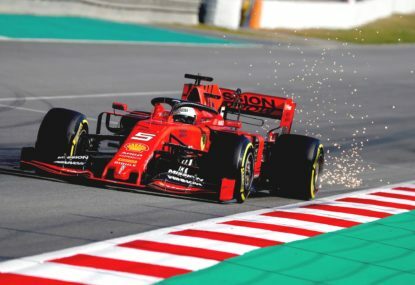 Sebastian Vettel, for one, admitted at the end of the weekend’s race that 2018 “has been a quite difficult and exhausting year for me”, while Valtteri Bottas, having weathered an excruciating second half of the season to end the year 161 points behind his title-winning teammate, appeared psychologically spent out of the car. “After this kind of season I don’t have the energy to look too far away [to 2019],” he said, and Toto Wolff said he was concerned about his Finnish charge after such a bruising year alongside Hamilton. 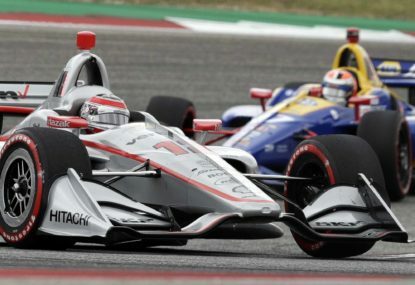 “I believe that when you have no shot anymore of the championship, and you know you need to give up, it kind of damages you mentally,” he said. But there’ll be no such tending required to Lewis Hamilton, who ends 2018 at the peak of his powers and with all the momentum of his five world titles powering him into the new year — and if he goes on to build another triumphant title tilt in 2019, his new uncompromising approach to the end of this season will have been the basis of that success.